It's Back! 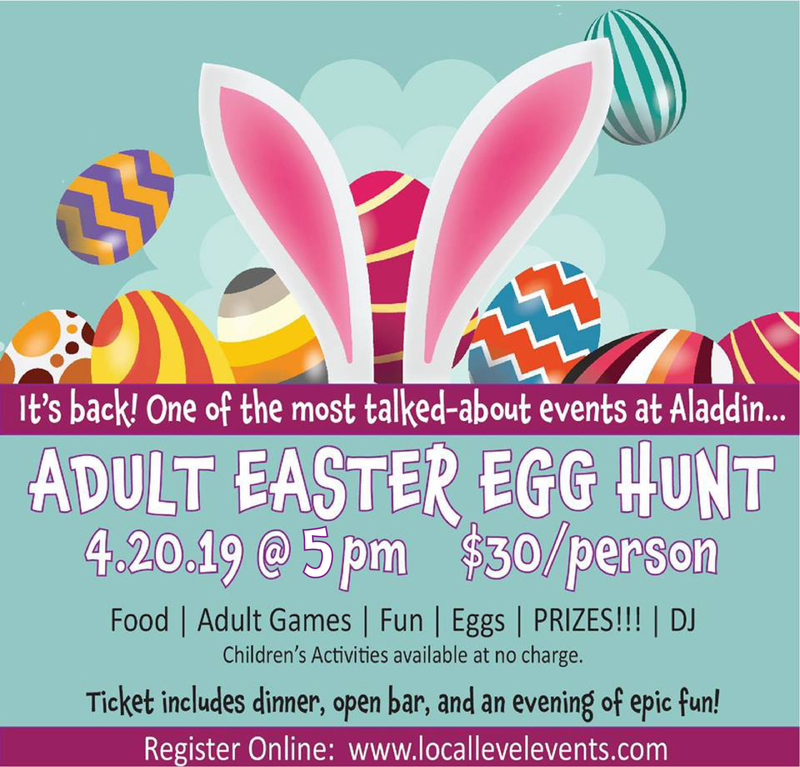 One of our most talked about events... the Adult Easter Egg Hunt! Children's activities will be provided at no charge, just let us know how many children you are bringing. 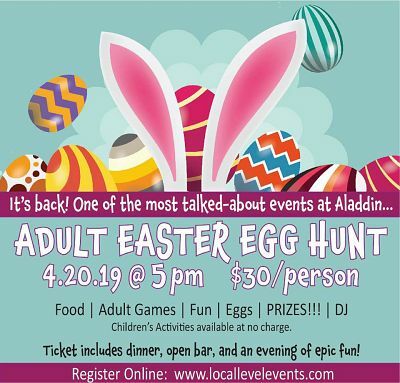 Food and fun starts at 6:00 pm. The hunt starts when it gets dark outside. Bring a flashlight!